With QICHI, refueling does not get any better than this. 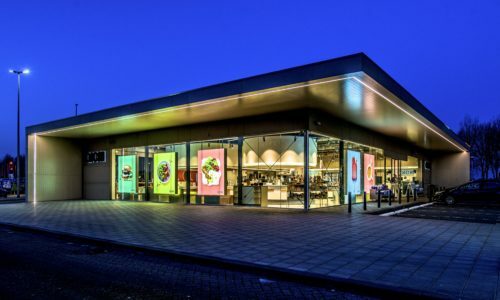 Esso Ruyver is a gas station located on the A13 Road between Rotterdam and The Hague. 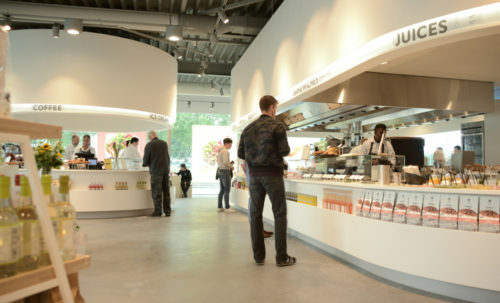 The station has undergone a remarkable transformation; the traditional shop inside replaced with a modern food mecca. 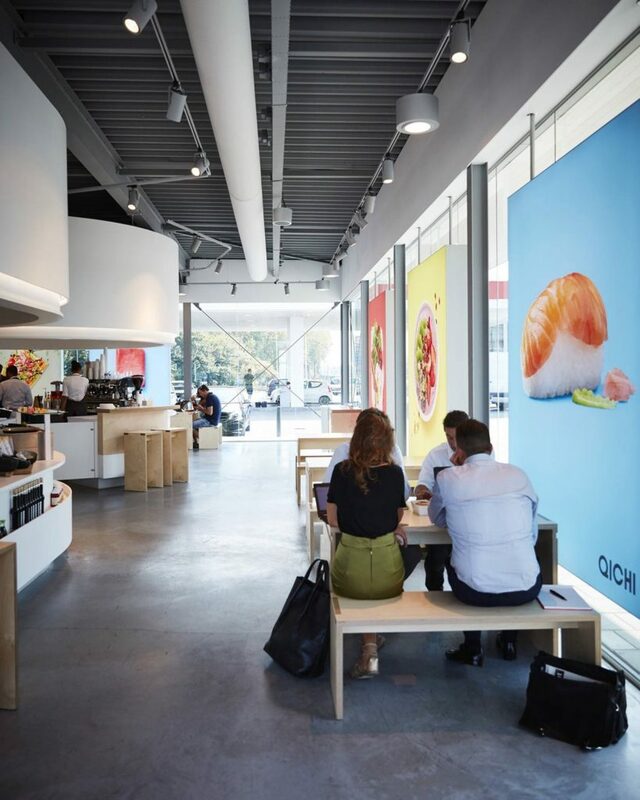 Large and colorful images on Matrix Frame light boxes and silicone-edge fabric graphics are attached in front of the glass walls, displaying Esso Ruyver’s unique and fresh variety of menu items such as sushi, salads, burgers and all kinds of smoothie bowls. There is even a barista island with freshly prepared coffee and handmade ice cream.